Hooppole (population 204) is located in northwestern Illinois on Illinois Route 78 approximately 8 miles north of Interstate Highway 80 and about 30 miles east of Moline. 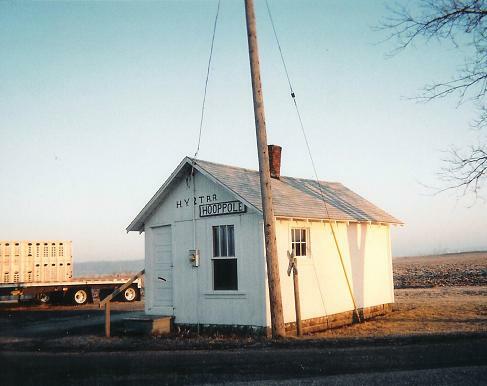 The old Hooppole, Yorktown, Tampico Railroad served the community for several years through its closing in the late 1940s. The original Railroad Depot for the Hooppole train line is pictured at the bottom of this page. According to the book titled Place Names of Illinois by Edward Callary, Hooppole was named by "coopers" from Rock Island who found a good supply of hickory saplings in the area which made good bands for wooden barrels. 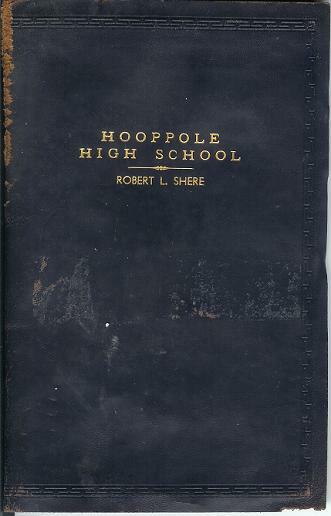 Hooppole was officially incorporated as a town, according to this book, in 1917. 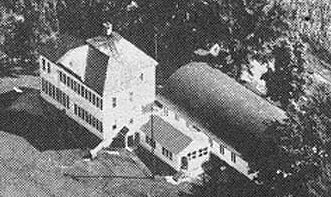 Hooppole High School was likely formed in the late 1800s and served the community proudly until its closing in 1948. The school district offered a grades 1 - 8 grade school and 3-year high school course of study. 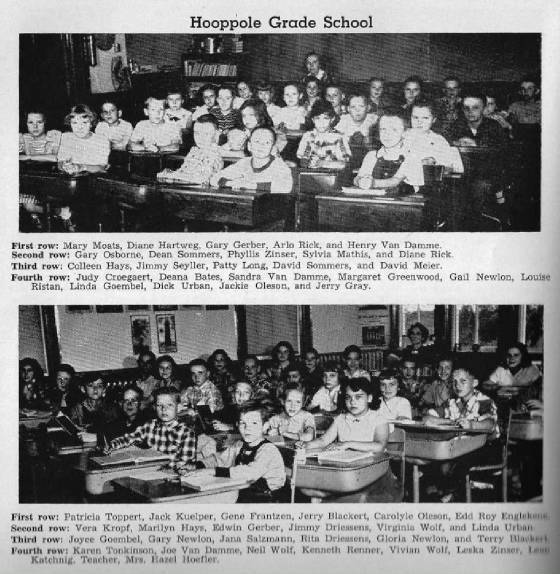 The Hooppole School District was annexed into the Annawan School District in the summer of 1948. Mary Ellen (Doubler) Frank tells us the Hooppole school served as a K - 6 school through at least 1959-60.school year. 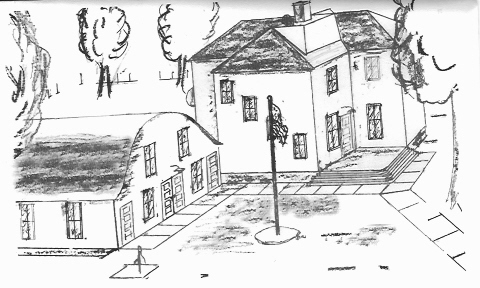 We know at some point the Hooppole school buildings were razed. 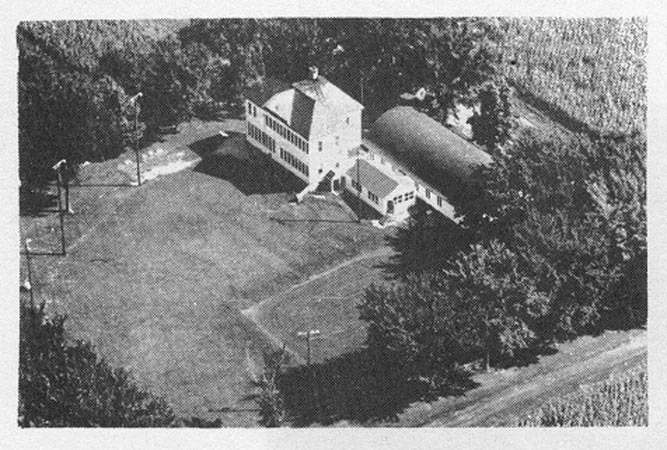 A smaller school building was constructed (probably in the 1960s, see photo at bottom of page) and utilized to host grades 1 and 2 for the Annawan School District. Annawan built an all-inclusive school in 1974. 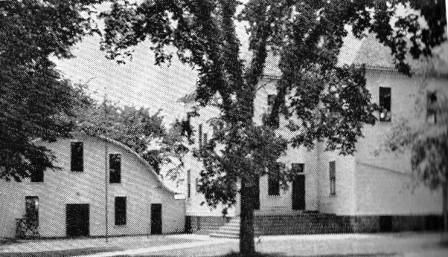 The school building in Hooppole continued hosting 1st and 2nd grade classes until it was closed in the spring of 1979. That building is now used for a private business. Hooppole maintains its quiet atmosphere except for one weekend each summer during the annual Hooppole "Fun Days". 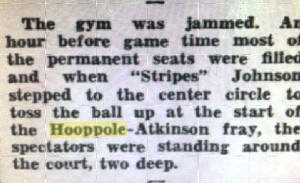 Hooppole High School "Quick Facts"
Hooppole High School offered basketball, baseball, and track during the 1930s and 1940s. 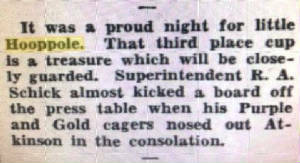 The school competed in what was known as "The Little Four Conference" which included Mineral, Annawan, and Atkinson. The basketball team did not win any IHSA hardware but was known for their competitive nature. 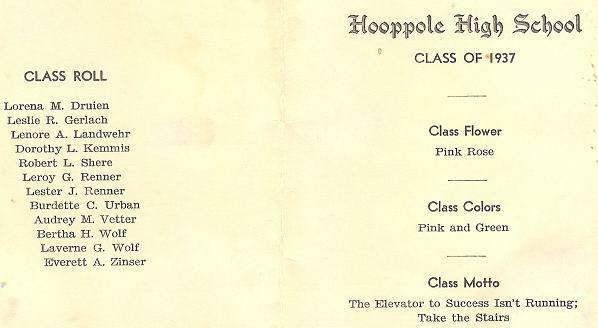 Keep in mind, Hooppole was a three-year high school, while they competed against schools that were all four-year high schools. Most of the time Hooppole's juniors were competing against seniors from another school. 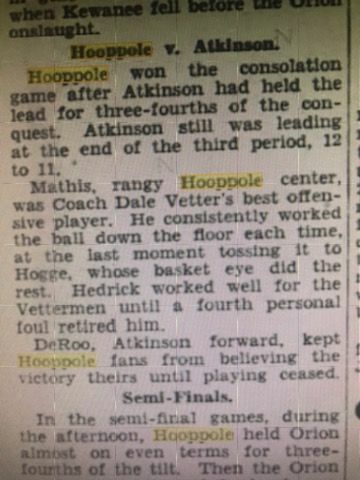 Hooppole's basketball record for the 1940-41 season was 2 - 13 according one old newspaper clipping. 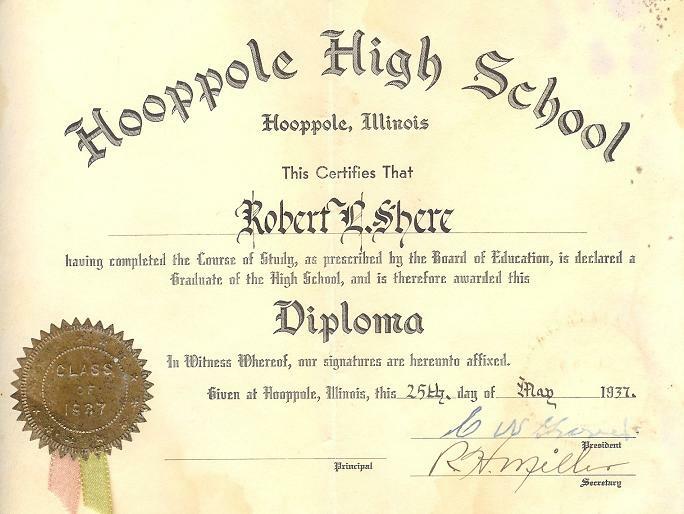 Some basketball scores involving Hooppole High School were located on a website titled "Illinois Postseason Basketball Scores." These scores are listed below. While searching a site called "newspapers.com" several articles were discovered regarding the Hooppole High School and their basketball team. 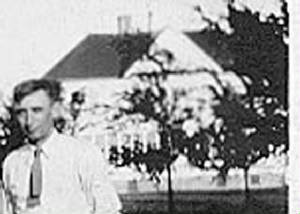 It was discovered that the 1930-31 season was a particularly good year for the "Ponies." Hooppole High School competed in the annual Henry County High School Basketball Tournament. In this particular year the team had its greatest success. The boys would finish THIRD in the Henry County tournament that included all high school basketball teams from Henry County at that time, including Kewanee and Geneseo. Some of the articles regarding this team are posted below, truly a remarkable feat for a 3-year high school, and probably the smallest high school in enrollment in the county. 1935-36 Postseason scores, record, and coach's name needed. 1938-37 Postseason scores, record, and coach's name needed. 1940-41 2 - 13 Postseason scores and coach's name needed. *This is the final season Hooppole High School is listed on the Postseason Scores website. 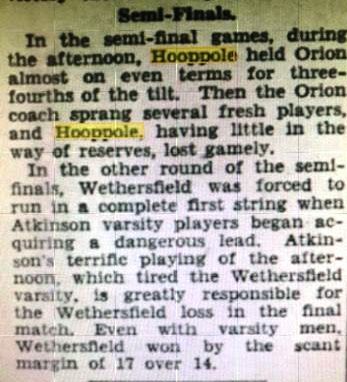 The District Tournament game with Neponset was the last basketball game played by Hooppole High School. If any further information is known regarding the Hooppole High School basketball program please e-mail this site with the address provided below. 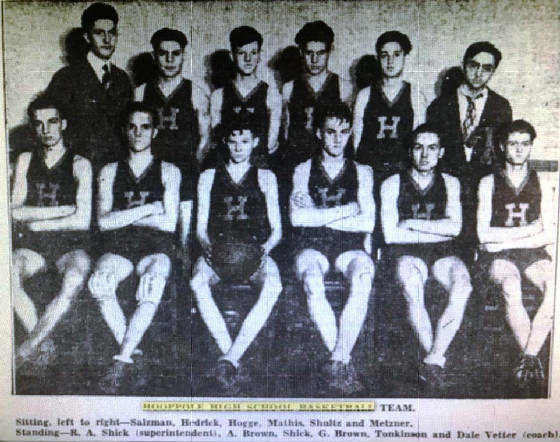 Below are some more bits of the newspaper article regarding the 1930-31 Hooppole High School basketball team that finished 3rd in the county basketball tournament. Hooppole High School also competed in track and field in the Little Four Conference. 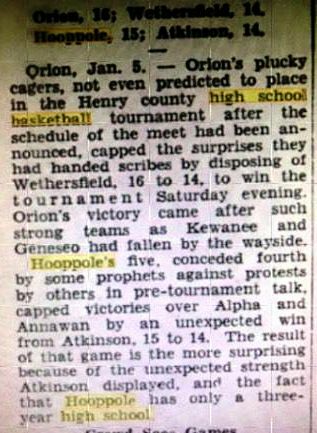 One article written in 1941 lists the Hooppole grade school tracksters as having won the Conference championship scoring 29.5 point to Mineral's 24. Atkinson claimed third with 4.5 points and Annawan fourth with 4 points. This would seem to have meant good athletic seasons to come in the mid-1940s. "I believe I received a wonderful education at Hooppole Grade. I remember sitting out under the trees reading poetry with Mrs. Eldrenkamp...other teachers..Ruth Hanchett, Gladys Pont, Berniece West, Mrs. Ruth Eldrenkamp , Rita Wannemacher and William Rhodenbaugh. Cafeteria cooks...Janet Sprague, Alice Blackert...my brain can't think of any others, but there were....and the custodians...Oscar Munson and John Metzner...all the bus drivers...Pete Atwell, Leo Doubler, Genevive Simpson....and more...It was a wonderful time in my life...and I am thankful to everyone who educated us and loved us." "My best memory of Hooppole was having to eat everything on your plate at lunch or you couldn't go to recess - so kids got creative in how to get rid of things they didn't like. The empty milk carton was the best if you didn't get caught by Mrs. Seyller!"